I was sent a bag of The Good Bean Crunchy Roasted Chickpeas from RunnerBox this month [check out my original REVIEW of RunnerBox HERE if you haven't read it.... And I URGE you to sign up for a RunnerBox subscription - you will NOT be disappointed!]. I received the Sea Salt version [lightly dusted with coarse salt]. "The concept for The Good Bean was inspired by street vendors in Indian cities, who roast chickpeas in salt making those hard little beans nutty, crispy, buttery morsels of deliciousness." 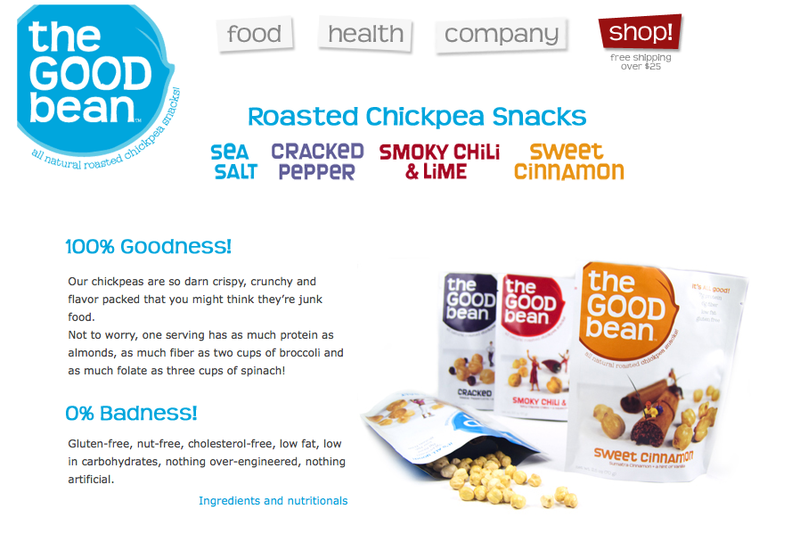 They have other varieties of their all natural roasted chickpea snacks – all of which look YUMMY! They are Gluten Free, Non-GMO, Nut Free, Soy Free, and Vegan! It seems like they are “good for *every* body” [which is the saying on the bag, as well as truth - they seem to be conscious of a lot of the food sensitivities that most folks have]. The chickpeas have as much protein as almonds and as much fiber as two cups of broccoli. I munched on them this afternoon at work around 2pm – a GREAT mid-afternoon snack. The Good Bean launched in September 2010 with a line of first-to-market All-Natural Roasted Chickpea Snacks in 4 flavors. 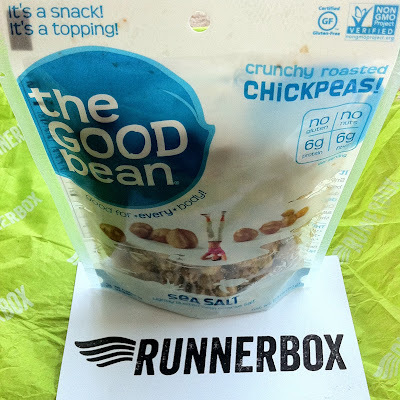 They’re an excellent alternative to standard snacks such as chips, nuts, pretzels and popcorn – gluten-free, nut-free, high protein, high fiber, and low fat. 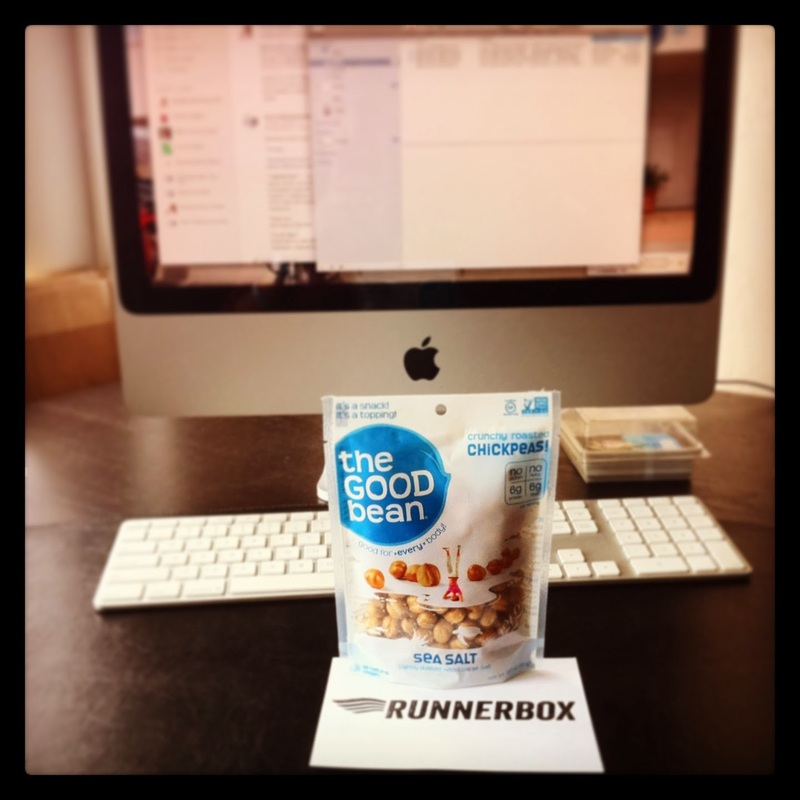 In February 2012 they launched a second product line, The Good Bean Fruit & No-Nut Bar, a line of wholesome snack bars for the extremely popular fruit & nut bar category. They replaced the nuts with high-fiber, high-protein chickpeas for a bar that has 40-60% less fat than the competition. 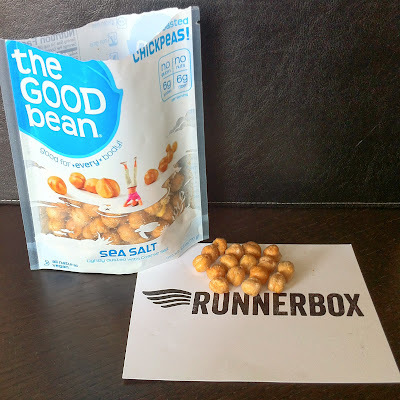 Like their chickpea snacks, their bars are a unique alternative in the category due to their health benefits, and also contain Fair-Trade and clean-processed ingredients.